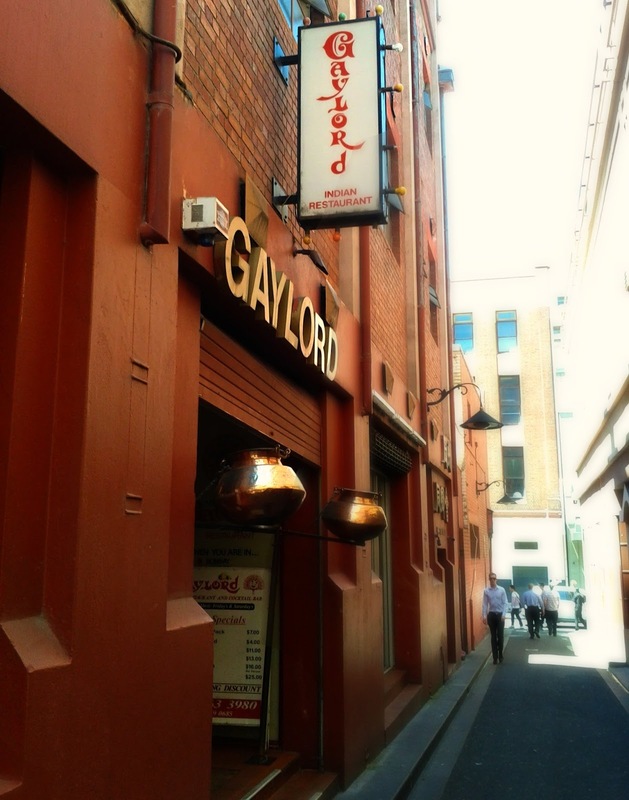 Gaylord is a bit of Melbourne institution, and one of the few Indian restaurants in Melbourne I knew and visited when I was here 10 years ago. 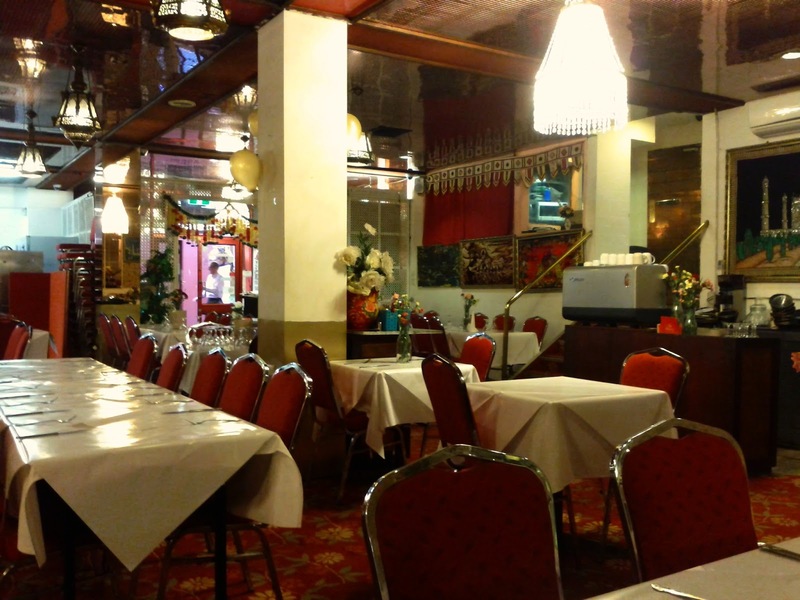 It is on Tattersalls Lane, between Little Bourke and Lonsdale at the Swanston Street end of China Town, across the road from Camy Shanghai Dumpling. We both ordered Thali's and were soon presented with some popadoms and raita, whilst looking a little darker than usual, were actually pretty standard. 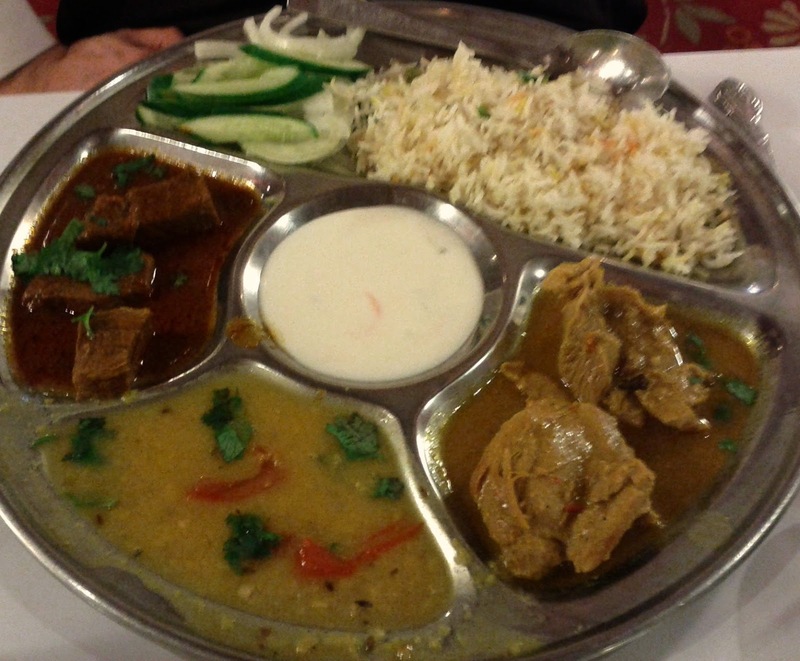 We had to wait a while for our orders to arrive, when they did Phil's non-vegetarian combination included chicken curry, lamb masala and dahl, along with salad and yoghurt. Overall it was fine but lacked a bit of punch. 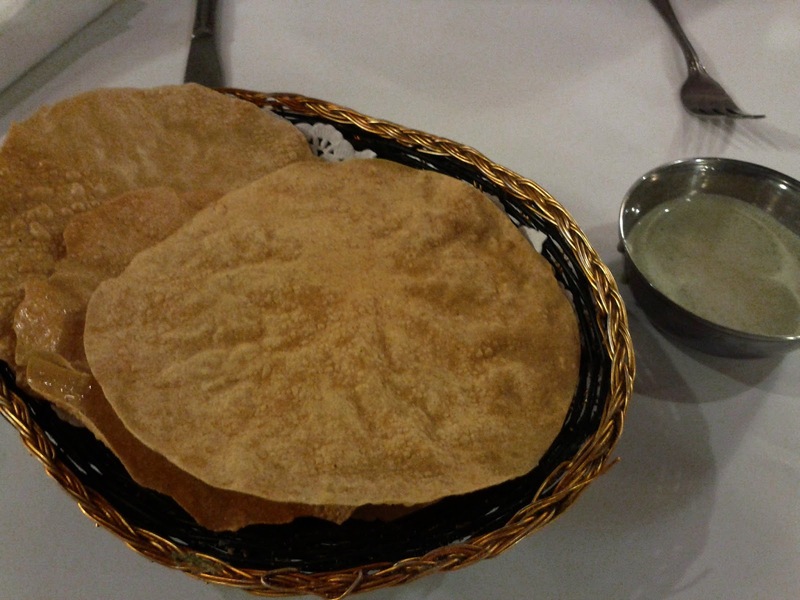 Our garlic naan breads arrived just after the rest of the dishes and were soft and fresh. 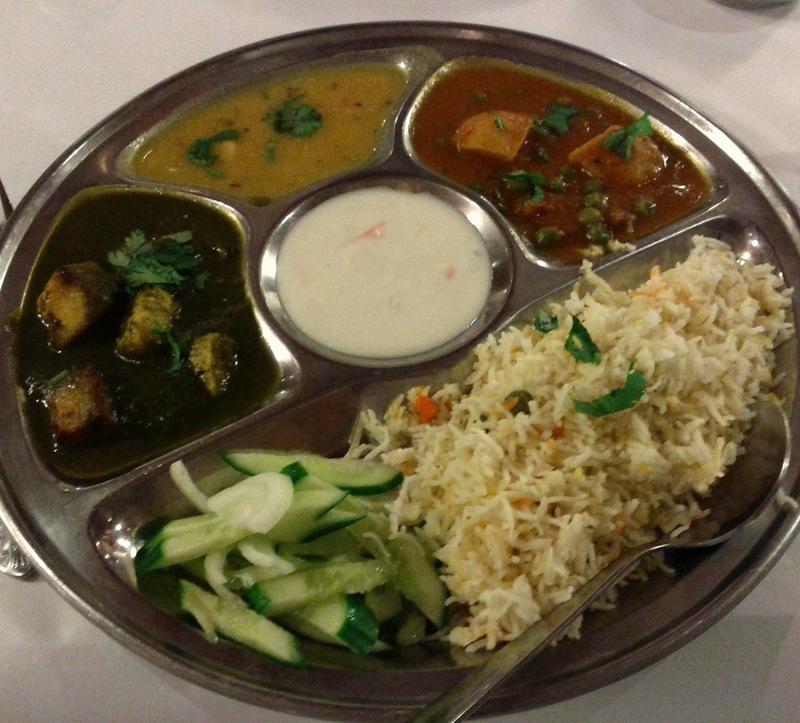 My vegetarian thali also shared most of the same components, with the exception of the palak pannear and the potato and pea curry (alo maiter paneer?). All the dishes were pleasant but a little on the watery side, and were nicely flavoured if not particularly spicy. The meals were good value at around the $12 mark, and the service was fine, if just a tiny bit on the slow side. Sometimes it is nice not to feel too rushed at lunch. Gaylord seems to be standing up to the test of time.